Hyderabad: Chinese Taipei's Tai Tzu Ying is a complete package but Saina Nehwal and PV Sindhu will soon crack the mystery surrounding the world No 1, who has proved to be their nemesis, India chief coach Pullela Gopichand said on Thursday. Top Indian shuttlers Sindhu and Saina bagged a silver and bronze at the 18th Asian Games after suffering straight game losses to Tai in the final and semi-final respectively. "Both Sindhu and Saina are mentally and physically tough who don't give up easily. 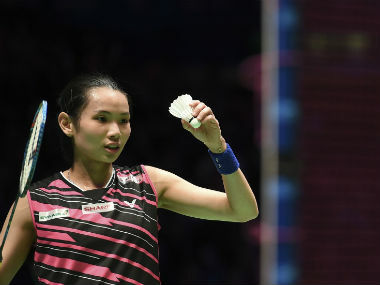 Ratchanok Intanon has successfully taken on Tai Tzu Ying and the Indian shuttlers too need to crack her," Gopichand said. "The challenge we have is that we have too many tournaments in the world circuit. So it's going to be a challenge to keep improving while playing tournaments, while retaining rankings and defending your points. So, that becomes a lot more challenging. But, I am sure we will break it (Tai's game)." Saina and Sindhu have lost 22 matches between them to Tai. Calling Tai a complete package with a wide variety of strokes, Gopichand said: "You are looking at a player who is quick on her feet, who is aggressive, who is smart, who is emotionally strong and also can run quite a bit. "So, you are looking at a package which is quite dominant in terms. So you have to have your game at top level consistently," she said. Saina, who suffered her 10th successive defeat to Tai at the Asian Games semi-finals, has compared the Taipei shuttler with legendary Taufiq Hidayat, a former World and Olympic champion. "Tai Tzu Ying is basically comfortable with most of the players now. I think one, two players are troubling her at the moment. That's why she is world number one," she said. "Some of the boys tell me that we don't have the king of shots what she can play. She is someone like lady Taufiq Hidayat, having all kinds of different shots. "She and Carolina (Marin) are the two main opponents, against whom we are trying to find good strategy to beat them." Sindhu, who became the first Indian to win a badminton silver at the Asian Games, said: "For the first time, I think two medals from badminton. It's a proud moment for us and also for the country. "Because, when we are standing there on the podium, it feels great that when the flag is flying high there. We cannot express that feeling. 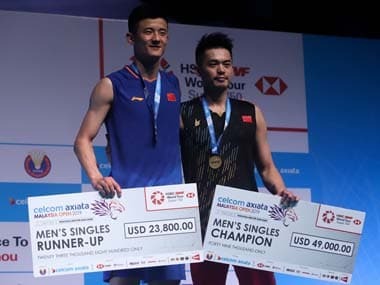 "Winning a medal in the Asian Games is special as it comes once in four years," added the 23-year-old, who also won a silver at the Commonwealth Games and World Championships this year. Saina and Sindhu completed an envious feat of earning a medal from every major badminton competition. The two-time Commonwealth Games champion, who won a bronze at Jakarta, was ecstatic to finally bag the coveted medal after chasing it for more than a decade. "It's definitely been a special tournament for me. Because, I was hunting for this medal from last, I would say three Asian Games," Saina said. "This was my fourth Asian Games. I am very happy that I could complete my... I expected this medal this time so I got it. I think I have all the medals now in the major events. "Now the target is to improve our performance and come back with even better medals next time," she said. Talking about her journey since winning the coveted silver medal at the Rio Olympics, Sindhu said: "Starting from Rio, it's been a completely different ... I think getting a silver is not an easy thing. Every time, I play any tournament, expectations are always there. "Every time, we would go into the court, they would want us to get a medal which is not so easy. But, being a player, definitely, we have to give our best." Sindhu said there is not much time to celebrate as they will have to get back to training ahead of the Japan Open to be held from 11 to 16 September. "Again, we will be leaving for Japan and then China. So, we have to get back to practice as soon as possible," Sindhu said. Asked if it is a dream come true for him with Saina and Sindhu both winning medals, Gopichand replied in the affirmative. "What Sindhu and Saina have achieved is phenomenally good, hoping that a gold medal would come their way in the years to come," he said. 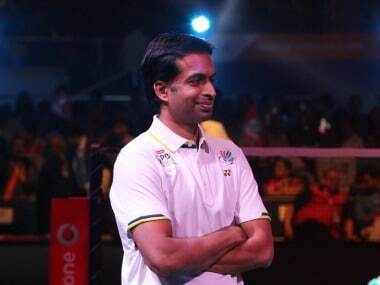 Asked about the male shuttlers not doing as per expectations, Gopichand said (Kidambi) Srikanth and (HS) Prannoy and other Indian shuttlers lost some close matches and that the the conditions in Indonesia were also different this time. "All in all, I would say that we have gone there. We are happy to have achieved these two medals. But, probably, we could have done even better," he said.